WhatsApp has been planning to launch its new UPI payment feature for a while and now it seems like it is soon going to see the light of the day. Yes! you heard it right. A report suggested that WhatsApp was working on a new P2P payments system for India. Screenshots of the feature have been spotted that were captured on an iPhone. 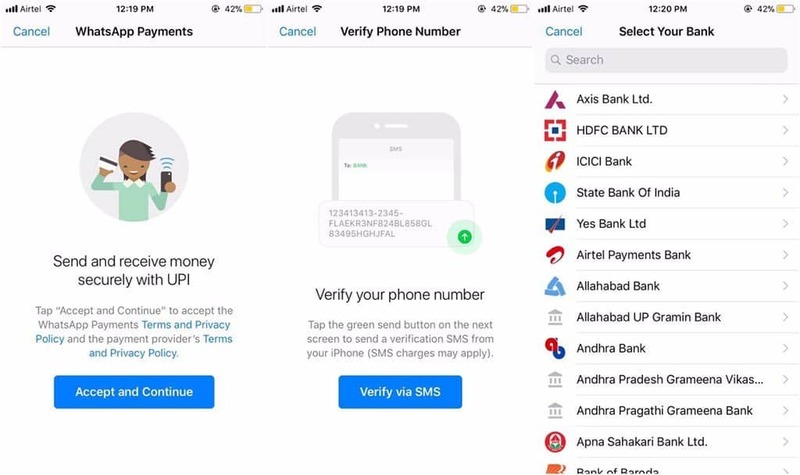 The screenshots show a list of Indian Banks including Punjab National Bank, ICICI Bank, State Bank of India, HDFC Bank and Axis Bank as well as UPI (Unified Payments Interface). WhatsApp’s Support for Payments is highly expected because of the app’s incredible popularity among the Indians. India is WhatsApp’s largest market with a user base of more than 200 million active users daily surpassing the US. India also surpassed the US for combined Android and iOS downloads for the first time in 2017. According to the leak, the latest beta version 2.18.46 of WhatsApp will include a new feature called “WhatsApp Payments.” This feature is still hidden and is in developing mode. 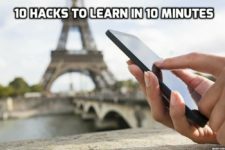 With this new feature, the users can easily make in-app payments and money transfers. UPI enables account-to-account transfers from mobile applications without taking any details of the beneficiary’s bank. The screenshot reveals the process in two steps. 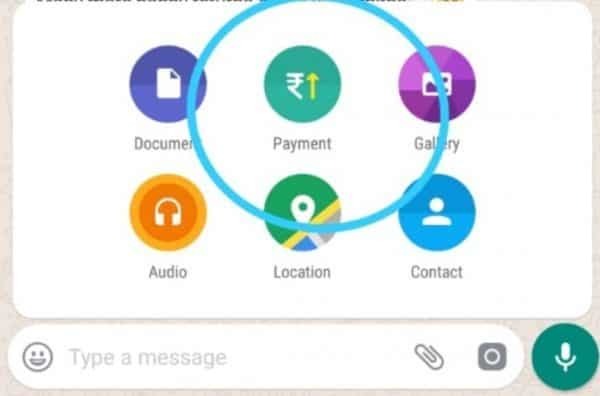 WABetainfo has shared a screenshot of this new UPI payment feature in the WhatsApp Application that says, “WhatsApp UPI Payments: the immediate bank-to-bank transfer with UPI.” The screenshot shows a green button to Accept and Continue Payments. 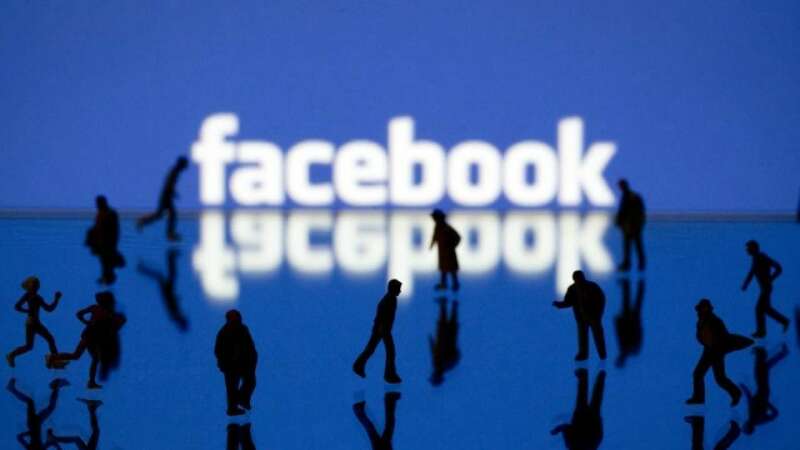 Additionally, you’ll also have to accept the terms and conditions of privacy and policy to accept this feature in order to start using it. This feature is available in the Attachments menu of the chat window. Notably, this option is available on the side of other options such as Gallery, Contacts, Location, Documents etc., On clicking the Payments, a disclaimer window will open which shows a list of banks to choose from. You can select your preferred bank account to connect with UPI. If you haven’t used the UPI payments platform earlier, then you will be asked to create UPI account (if you don’t have any) through the UPI app or your respective bank’s app or website. Additionally, you need to create an authentication pin for UPI. 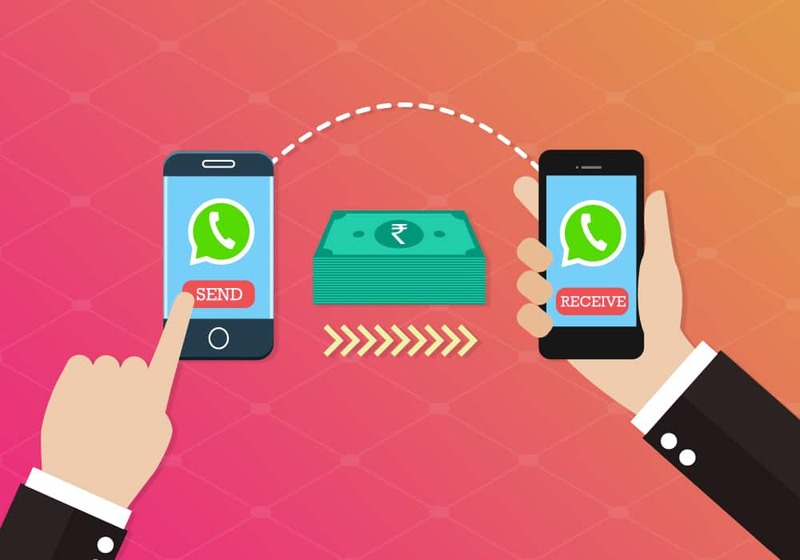 According to a report by FoneArena, both the sender and the receiver should have the WhatsApp Payments feature to make in-app transactions successfully. Users have been reporting issues about linking their bank accounts to the app. This is expected from a feature available in beta. Ever since the launch of UPI by the government, tech giants like Google, Samsung, Zomato and now Whatsapp, have been looking forward to incorporating it on to their hardware and software products. This feature puts WhatsApp into competition with other messaging applications that already support the payments feature. For instance, Tez from Google, Tencent-backed Hike and digital wallet platforms like Paytm. But the potential for WhatsApp to dominate Indian P2P payments is very high as millions of people come online every day, all thanks to the low-cost data plans. It’s not clear whether WhatsApp Payments Feature will make its way to Europe, North America and other parts of the world. WhatsApp was not available to comment on this feature. If you received this updated in your whatsapp and have already used it, please share your experience in the comments section below.